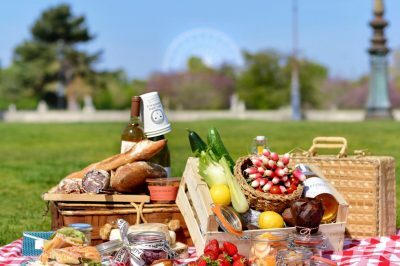 One of the great annual rituals in Parisian culture is the awarding of top prizes to local bakers and pastry chefs, who work hard year round to snag top billing for their baguettes, pastries, viennoiseries and other creations. The competition for the all-butter croissant, or croissant au beurre, can be particularly fierce: it’s extraordinarily difficult to achieve the right balance between flakiness, chewiness and melt-in-your-mouth softness embodied by the “ideal” specimen. Many bakers are automatically disqualified, since only croissants produced using artisanal, hand-made techniques can enter the fray– and 80% of croissants in France are made using industrial methods and ingredients. Another strict rule? To get a shot at winning this revered contest, bakers must use a specific, high-quality butter bearing the Charentes-Poitou AOC label. La Maison d’Isabelle proudly displays its winning credentials on its awning. Image: Courtney Traub/All rights reserved. For those who make the cut, however, the payoff is profound. Earning the right to call oneself meilleur ouvrier (best artisan) in any culinary category not only attracts droves of customers: it puts a permanent feather in your professional cap. It can secure reputation, and a thriving business, for years. 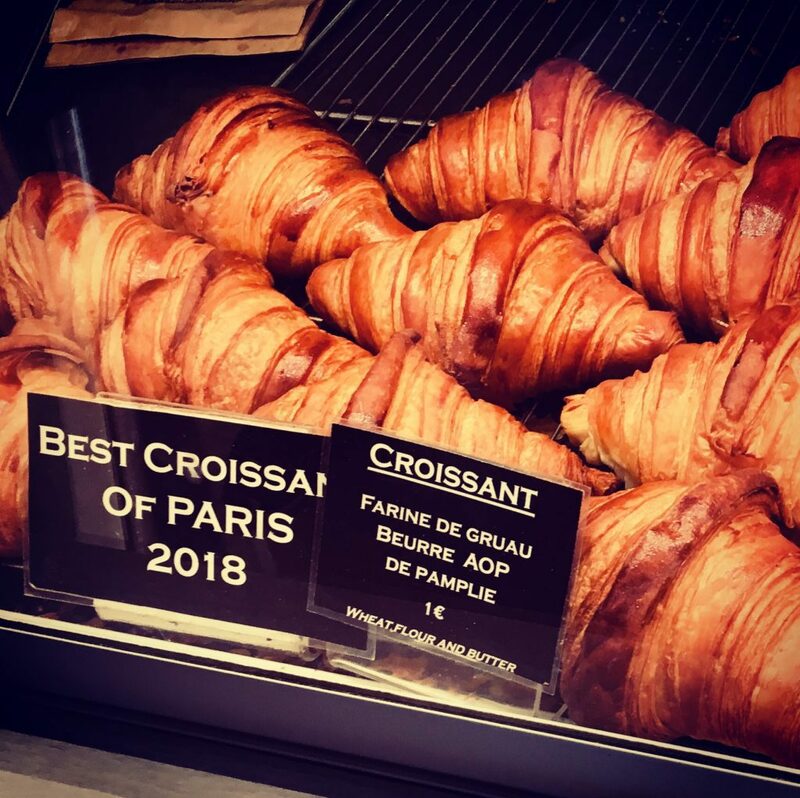 Curious to taste the all-butter croissant that came away with top accolades this year, I stopped by La Maison d’Isabelle, a bakery nestled in the Latin Quarter that I’d never come across before. Headed by Isabelle Leday and Geoffrey Pichard, the bakery and patisserie proudly (and rather loudly) displays its champion status on the black awning outside. Oddly, unlike so many bakeries around the capital, the display windows are rather muted and uninspiring: you have to venture inside to really get a sense of the delicious offerings at this address. La Maison d’Isabelle specializes in pastries made with organic flour and butter– a growing trend in the capital as Parisians hop on the health-conscious and ecologically responsible train. Displayed prominently in the left window of the shop, the award-winning, all-butter croissants currently sell for only 1 Euro. This modest price endeared me to the bakery right away, since many meilleurs ouvriers immediately inflate their prices as soon as they earn a top prize. 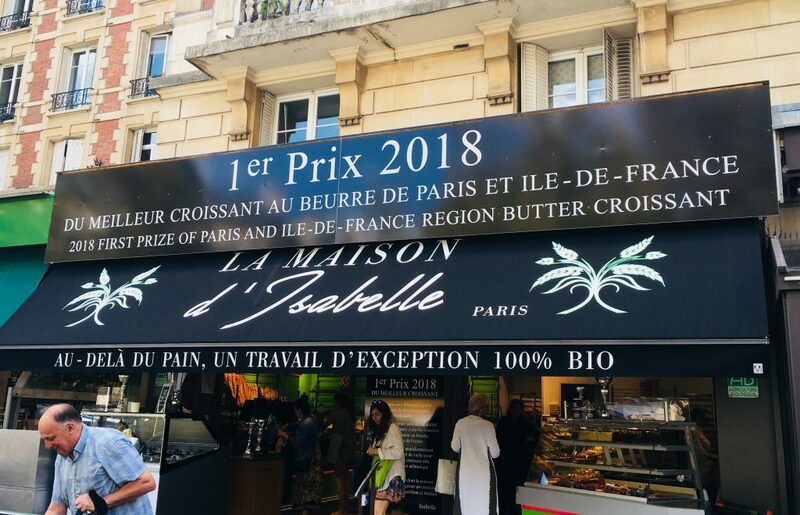 The all-butter croissants at La Maison d’Isabelle won the top prize for the best croissants in Paris and the surrounding region in 2018. 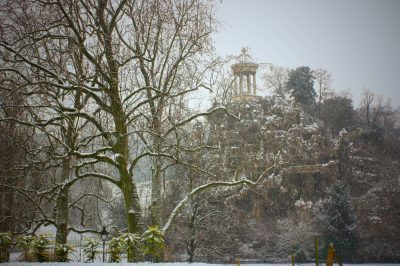 Image: Courtney Traub/All rights reserved. Made with organic “Gruau” flour and top-quality Charentes-Poitou AOC butter from the Pamplie creamery, the croissants au beurre on display at the bakery are pleasingly golden, with a distinct sheen and visible layers of thin, flaky pastry dough. Appearance does matter quite a bit: it turns out that a full 60% of the scoring system for the annual butter croissant competition relates to looks: “cuisson” (bake– 20%), “brillance” (sheen–20%) and “forme” (regular, even shape– another 20%). The croissants sold here clearly meet the mark on all three counts. An important side note: all-butter croissants are technically not truly crescent-shaped. Their cousin, the croissant ordinaire— often made with less butter and even with (heresy!) margarine– are the ones that display a genuine crescent form (see below). This type can be recognized by its characteristic folded edges, making it look a bit like a crab. When you’re trying to choose between the two (unless you’re trying to cut back on cholesterol), you should generally choose the croissant au beurre. It’s almost invariably of better quality, and more likely to deliver the flakiness and direct, indulgent butteriness most of us associate with the perfect croissant. Having procured a single croissant in a paper bag, I wandered around in search of a quiet square in which to taste the bounty. Lacking a napkin only proved how buttery this croissant was: it left the bag incredibly greasy, and pulling it apart carefully in sections still resulted in oil-slicked fingers. This all boded well, of course. Flaky and crispy on the outside, the croissant still held up when pulled apart– a sign of quality even before you taste a single morsel. It was still slightly warm inside when I finally did, showing it had been baked recently even though I bought it in the afternoon. 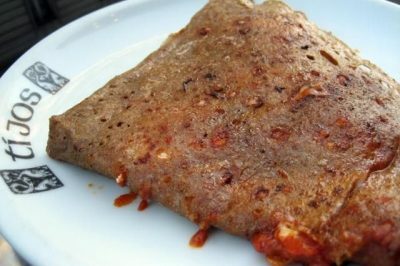 It had what seemed to me to be a good balance between a slightly chewy texture and a fondant, soft quality at the center. It showed beautiful, flaky, golden layers. 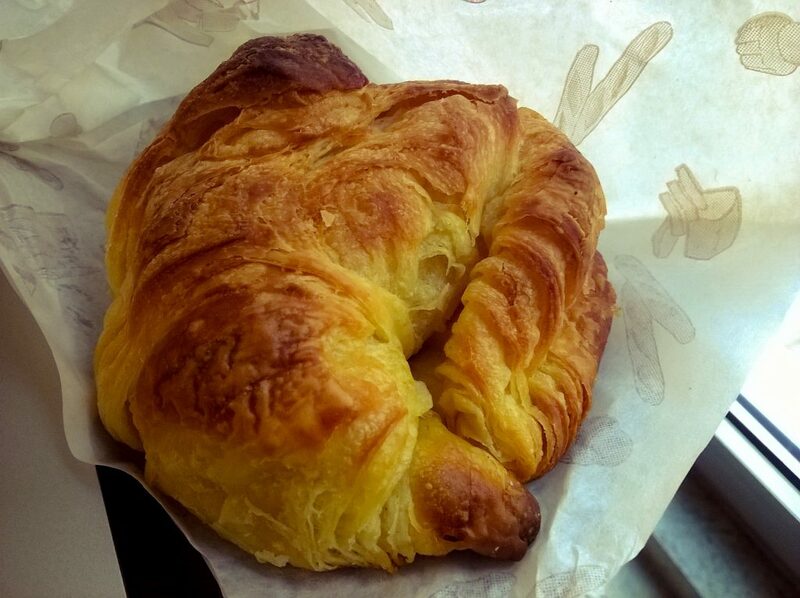 This seems to correspond well to the other criteria set by the jury for the best butter croissant made with Charentes-Poitou AOC butter: it’s judged both for the quality and flavor of its flaky layers (20%) and for its “melting” (fondant) mouth-feel (20%). In short, while I’m admittedly not a passionate fan of the ungarnished butter croissant– given a chance, I’d much prefer to gobble down a pain au chocolat or pain aux raisins— La Maison d’Isabelle clearly earned their top spot in the category this year. 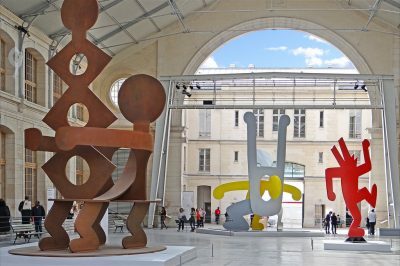 It’s certainly worth a stop here if you’re passing through the Latin Quarter, or if you simply wish to judge for yourself. I haven’t tasted any of the other pastries, breads and cakes made here, but according to the French blog Painrisien, the overall quality is superb. 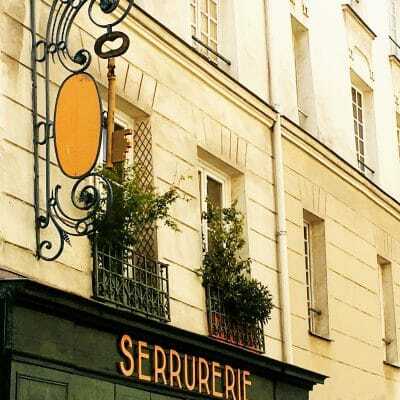 Also make sure to check out this Foursquare list for other fantastic croissants in the capital. Open: Tuesday to Sunday, 6:00 am to 8:30 pm. Closed on Mondays.